The pharmaceutical industry is considered to be the one of the most sensitive process industries among all the industry as minute mistake can be very harmful for end user who might consume the medical drugs, so at no cost quality can be compromised. One of very renowned international Pharmaceutical company uses industrial screeners of global make to manufacture their extensive range of solid drugs for supplying it to global market. The medicines manufactured by our esteem client are used in treatment of range of diseases, such as cancer, respiratory & brain aliments. The typical production process of solid dosage drug includes screening of the important active pharmaceutical ingredients and excipients procured from bulk raw material supplier using industrial sanitary vibro sifters to eliminate foreign contaminants such as paper, grits, stone, threads etc and oversize particles & lumps to achieve right drug formulation. The Pharmaceutical company who are into manufacturing of solid drugs & medicines for treatment of diseases such as cancer, respiratory & brain aliments were facing challenge of ferrous particles & contamination in active pharmaceutical ingredient, which is used as a raw material, during manufacturing of the solid dosage drug. This resulted into the overall low throughput of the manufacturing unit due to low quality of API, which eventually affected the bottom line of the organization. “After meeting the maintenance head at one of the manufacturing unit of the company, we learned that, as the organization procures different active pharmaceutical ingredient from different suppliers and conveyed through different material conveying lines, which resulted into low product quality due to presence of ferrous contaminants, or iron particles in the product. The product eventually did not meet US-FDA product quality standards which resulted in- to complete recall of the drug products by the organization. The ferrous contaminants in final product impacted final product quality and resulted to production downtime of drug formulation at the manufacturing unit, which lead to high operating costs, concludes, Sr. Manager-After Sales, Galaxy Sivtek India. After meeting the production & maintenance team and understanding the organization’s quality concerns, Galaxy Sivtek identified and proposed a unique solution, The SIVTEK Magnets, to achieve the right quality of API. The engineering team of the company were completely satisfied with the technical aspects and trial run of The SIVTEK Magnets. 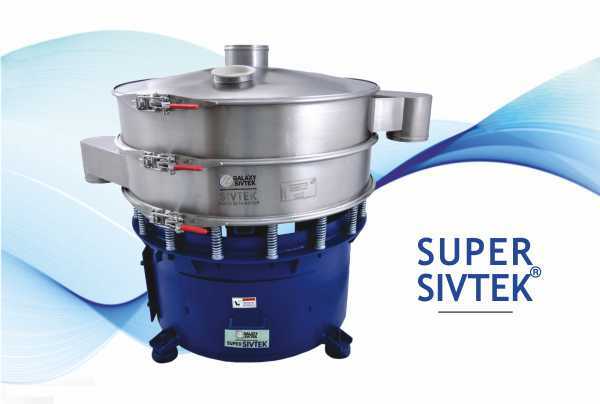 The SIVTEK Magnets with Tri Clover Clamp consists of ‘Rare Earth Magnet’ of 10000 Gauss Power of high grade SS316, which is retro-fitted at the outlet spout of Vibro Sifter (of any make, any design). 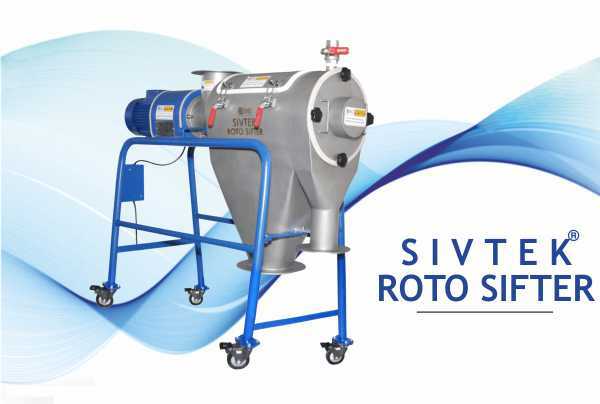 The customized SIVTEK Magnetic separator are capable to ‘catch’ eliminate ferrous i.e. iron particles from the product before packing or before collecting in sanitary storage bin. The final pharmaceutical ingredients are sent further in drug formulation process. The 12 Nos. of SIVTEK Magnets were retrofit at the outlet(spout) of industrial screeners (of any make and any design) at production plant of the company. These 12 Nos. 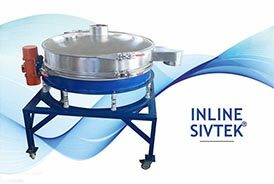 of customized SIVTEK Magnetic Separator for Vibro Sifters from Galaxy Sivtek has assisted the organization to overcome their API quality challenges by eliminating ferrous particles from the final product. After successful implementation of The SIVTEK Magnetic Separator for API powder processing resulted into achieving high product quality with ZERO production downtime, the customer recommended similar customized solution for their different manufacturing units across India.